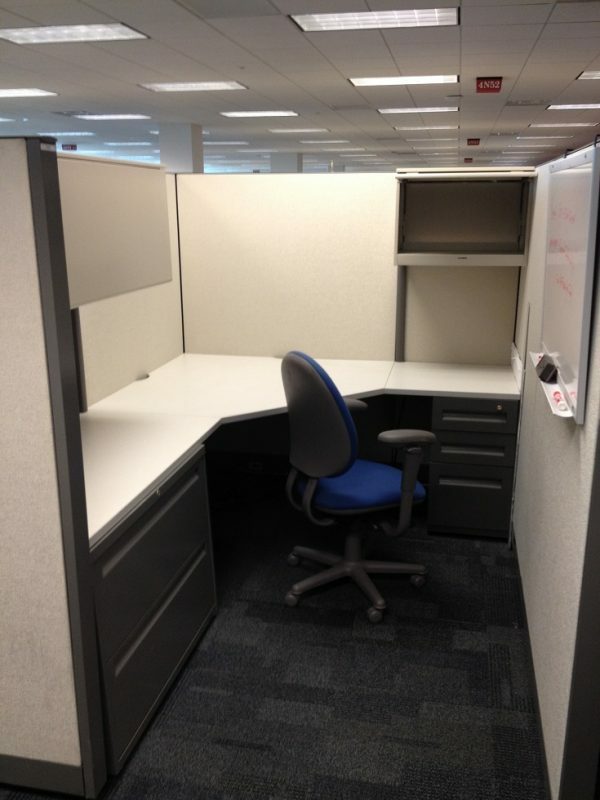 Steelcase Answer very clean (good as-is) cubicles. This tiled system has several shades of gray with gray accent tiles. These 6×8 stations have power down the 6′ spine. Each station has a 24 x 48 corner with a 24 x 24 and a 24 x 48 return, locking box/box/ file, 2 drawer 36″ lateral file which also locks. For overhead storage, you get a 24″ and 48″ Binder bin with task-light. Product is sold in 8 packs due to original set-up and panel sharing.